TORONTO, ON – October 31st, 2018 – Your life knows no bounds. Neither does the Lexus LX 570 – the full-size flagship SUV that combines opulent luxury with go-anywhere performance. New for 2019, Lexus introduces the Inspiration Series – a very limited edition featuring unique black exterior detailing and a white interior scheme trimmed in black. With every glance, the Lexus LX is designed the evoke strength and elegance. From its bold, single-piece spindle grille and striking LED lighting to its integrated rear spoiler, the LX transcends traditional SUV styling with a brave yet sophisticated design. Massive 21” wheels command both the road and the viewer’s attention. Notable details include a power moon roof, power adjustable and folding, auto-dimming heated mirrors with integrated signal lamps, illuminated running boards, LED headlamps with washers, LED daytime running lights and fog lamps, roof rails and rear step bumper. Open the door, and craftsmanship is immediately evident throughout the cabin, defined by superior care to material selection and attention to fit and finish. Luxurious wood finishes adorn the heated steering wheel, the shift knob, the centre console and the door trim. Supple leather cloaks the seating surfaces for a rich, serene atmosphere – including an available Cabernet colour that adds a touch of race-inspired vibrancy. Seating for eight pampers driver and passengers in spacious comfort, while the interior is thoughtfully appointed and wonderfully versatile, with a payload rating of 1,285 lbs (580 kg). The front seats are heated and ventilated, with 10-way driver and eight-way passenger power adjustments. The LX also features power sliding second row seats with heated and ventilated outboard positions, plus power folding third row seats. Three zone independent climate control lets passengers in each row set their own personal comfort zones. A great adventure includes a great soundtrack, and the sound of ultimate freedom is provided via a 19-speaker, 450-watt, 7.1-channel Mark Levinson Reference Surround Sound system with 2 USB audio inputs, the Automatic Sound Levelizer system, integrated Sirius XM satellite radio and steering wheel-mounted audio controls. Other technology features include Bluetooth® connectivity, a voice activated navigation system with Lexus Remote Touch interface, a 12.3” LCD display, head-up display, Lexus multi-information display, Optitron instrumentation, a trip computer, the Qi wireless charging system for select personal electronics, and more. Other features of note include a 3-setting driver’s seat memory system linked to the steering column and exterior mirrors, reverse auto-tilting rear view mirrors, power windows with auto up/down function for all windows, a premium illuminated entry system, two 12V DC accessory power outlets and retained accessory power, cruise control, an integrated garage door opener, the Lexus Smart Key System with a wallet-sized Smart Card key, keyless entry and Push Button Start, a front console cool box, and more. Your command performance requires commanding performance, and the LX 570 delivers a standing ovation thanks to a 383 peak horsepower, 5.7L quad-cam V8. This powerful and sophisticated engine also produces up to 403 lb-ft of torque for stress-free towing of up to 7,000 lbs. (3,175 kg), enhanced by an onboard Trailer Sway Control Brake System. Meantime, advanced engine features including dual variable valve timing with intelligence make the LX remarkably efficient for a full-size SUV. Combined with its eight-speed sequential shift super electronically controlled transmission with steering wheel-mounted paddle shifters, the LX 570 delivers a superior driving performance with smooth shifts and a fuel efficiency rating of 15.8L / 100km (city/highway combined). Ready to take you on road or off with equal confidence, the LX 570 features a full-time 4WD system enhanced with Active Traction Control. Wherever you go, the ride quality is impressive, thanks to several Lexus innovations. The Adaptive Variable Suspension system intelligently senses road conditions and tailors suspension response for a consistently smooth ride. Multi-terrain Select lets the driver choose from five road condition modes – mud & sand, loose rock, mogul, rock, or rock & dirt – then automatically adjusts slip and grip so the LX tames even exceptionally rough terrain with confidence and elegance. Meantime, Active Height Control automatically raises the LX when extra ground clearance is required, and lowers the vehicle for improved aerodynamics when cruising at highway speeds. And when negotiating steep inclines or mogul-covered terrain, Crawl Control automatically maintains the LX at a one of three slow, constant speeds – freeing up the driver to concentrate on the way ahead, without constantly switching between accelerator and brake. The LX also features no-compromise safety, headlined by Lexus Safety System +. This bundle of active safety technologies (pre-collision system with pedestrian detection, lane departure alert with lane keep assist, dynamic radar cruise control, and automatic high beam system) is now standard equipment on 98% of all new models Lexus offers in Canada. LSS+ supports the driver’s awareness and decision-making under a variety of traffic conditions and contingencies. Other safety technologies include the Blind Spot Monitor and Rear Cross Traffic Alert systems, Intuitive Parking Assist, a backup camera, window jam protection, and an anti-theft system with engine immobilizer. There’s even an onboard first aid kit and tool kit. The 2019 Lexus LX 570 Executive Package (starting MSRP: $110,300) features 21” split 10-spoke alloy wheels, chrome grille and chrome-finished exterior door handles. It’s available in five exterior colours, each with a choice of two or three interior colour schemes. 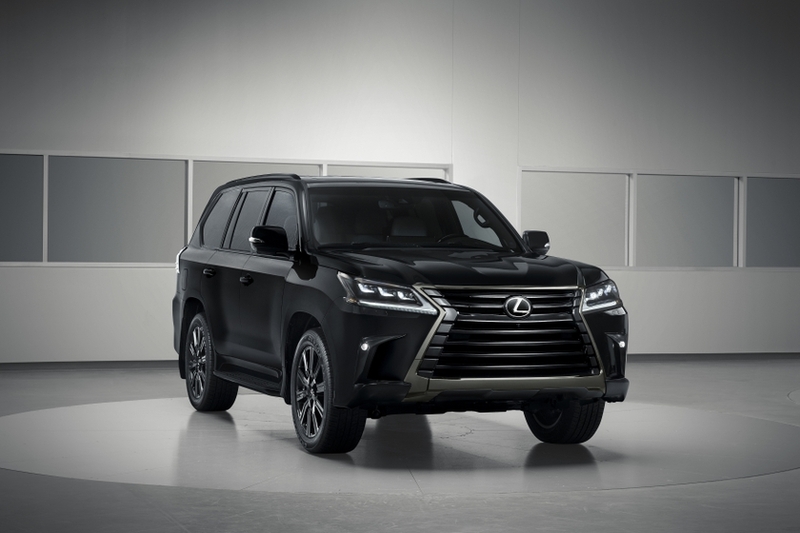 The 2019 Lexus LX 570 Inspiration Series (starting MSRP: $112,350) is available as a limited edition, featuring an exclusive black onyx body colour and white interior with black trim and black headliner. Other unique details include 21” black forged alloy wheels, smoked headlamps and tail-lamps, a black chrome grille, black chrome exterior door handles, black bezel fog lamps, and black edition cargo mat and floor mats. 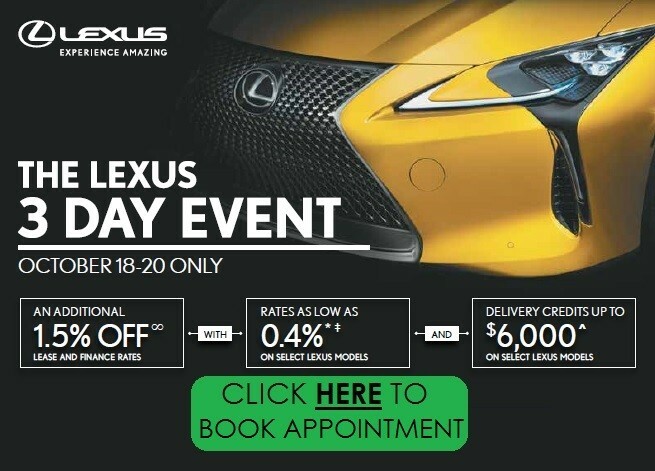 Lexus Canada is the exclusive Canadian distributor of Lexus luxury cars and sport utility vehicles through a sales and service network\ of 39 dealers across Canada. 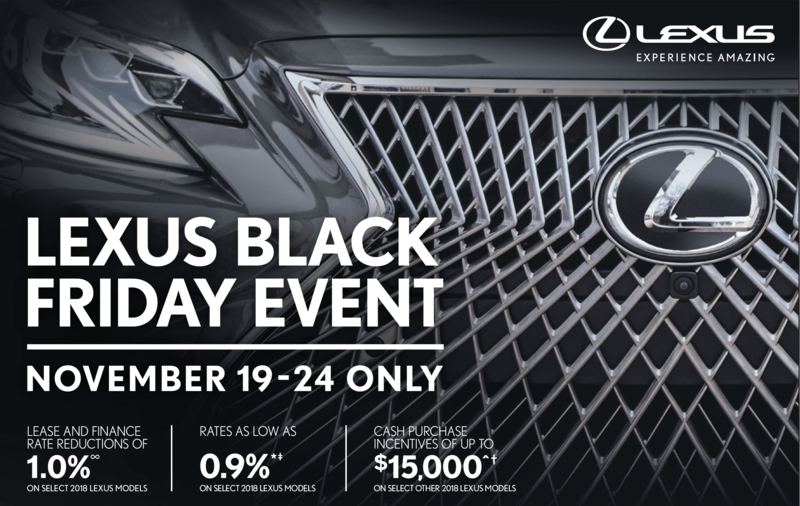 Guests have access to a wide range of luxury and performance vehicles with a total of 12 Lexus nameplates available in Canada, including the largest luxury hybrid lineup of 6 hybrid models. Inspired by bold design, intuitive technology, and peak performance, Lexus is committed to delivering the highest quality products and services and creating amazing experiences for their guests. The Lexus RX 350 and RX 450h are built at Toyota Motor Manufacturing Canada’s (TMMC) award-winning Cambridge South plant. 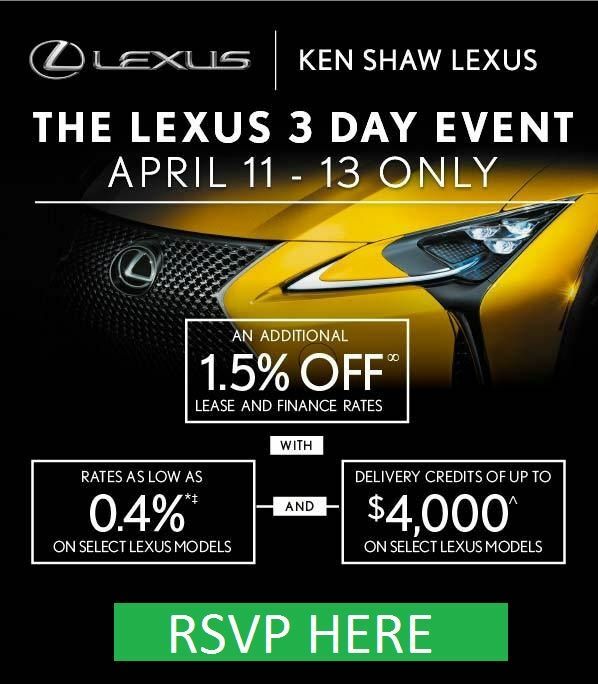 For more information about Lexus and Lexus products, please visit: www.lexus.ca.